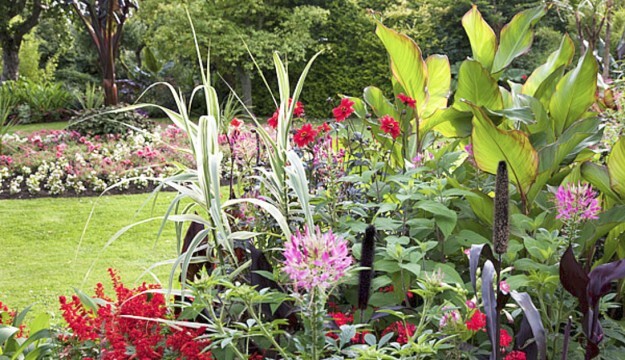 In an exciting collaboration with the Royal Horticultural Society, the Cotswold Wildlife Park & Gardens, near Burford, Oxfordshire; will be hosting a Plant Day on Wednesday 10th September. At this time the Park will be at its summer peak with the usual wide range of plants on display. There will be zones around the Park where certain groups of plants will be highlighted and practical advice available, as well as interesting facts and stories. ‘The exotic bedding in the old walled garden is amongst the best in Britain.’ Steven Lacey, Daily Telegraph. With all this expertise to hand it will also be a wonderful opportunity to have your mystery plants identified by photo or sample. During the day there will be a series of mini lectures by RHS Speakers along with various plant demonstrations and displays.